A snow day calls for a winter seasonal mix-pack! My office was closed yesterday due to the mini snow storm that hit the region during the morning rush hour. All told, we only got three inches of snow, but it came down heaviest between 6:00 and 10:00 a.m. Good call on shutting it down so I could avoid what would have been a nightmare of a morning commute. I’m partial to IPAs, so Moonshadow was my favorite brew of this solid 12-pack. F.X. 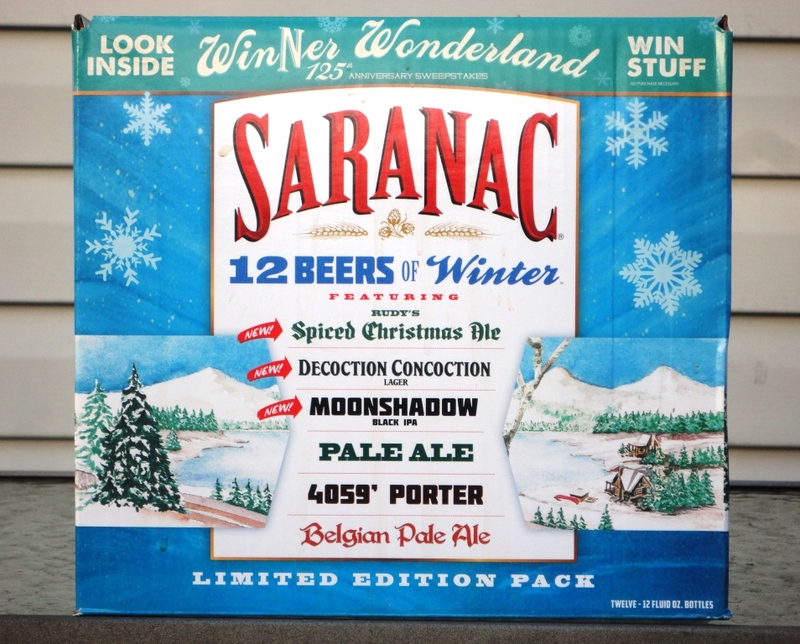 Matt Brewing Company in Utica, New York brews the Saranac line of beers. Congrats to the brewery on 125 years of brewing!